This is just one of those things that probably about every other parent (these days) will face. 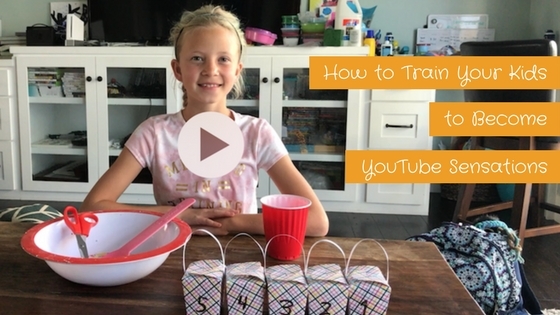 The day your kid decides they want to be a Youtube STAR! My firstborn had this dream first, I’d say about 3 years ago when he was 9 and Minecraft videos were his life. While not his life anymore (Minecraft videos), Youtube is still his everything. Now, my 10-year old daughter has finally caught the bug and is ready to make her own Youtube debut. So, my friends, this is happening! Now, I (she says with emphasis) think my kids are pretty lucky to have a social-media, digi-techy, business-owning mom on their side because honestly if I didn’t do what I do, I don’t know how I’d ever help them! So, being the mom that I am, and depending on the day you catch me, I’m sometimes willing to help them. But I’m not gonna make it too easy because I am one critical mama and I really want them to learn how to DIY this stuff! 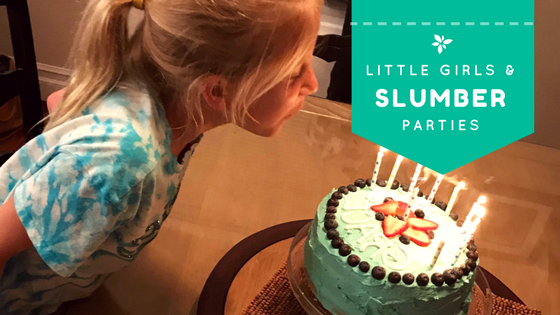 Here’s how it’s going down in my house and hopefully you’ll find these as useful tips to get your own kids started. These kids will be prepared before I have to sit there with a cell phone in hand recording them. Not only will they be prepared, but they will prepare themselves by themselves and take all of the advice I have to give them. Let’s say they want to make a ‘How to Make Slime’ video. Well, I’m smart enough to know that 25 minute long videos aren’t all that catchy and I don’t want to do a bunch of editing. All materials must be on the table, measured out if possible, and ready to go into the bowl. And because I work, wife AND mom, I don’t have all day for take-after-take. I like things to happen in ONE TAKE, if possible. I sound so mean, I know, but really I’m not, just to-the-point and efficient. I also ask them to lay it out for me so that we can talk through their plan and make sure everything sounds like it makes sense. This is a super great exercise to get your kids thinking big picture too and not just about the end result. So, #1 is to get prepared. They will practice their openings and closings before I hit the record button even one time. This mom is NOT going to record a million versions and edit them together. Also, during their practice, they will listen to my advice on how to speak and take my tips on things they should be explaining to their imaginary audience. Eventually, they won’t be imaginary. You might be surprised at what a craft ‘explaining’ is when you are LIVE. A bunch of silence isn’t that effective, depending on what you’re doing. This is actually fun because they get a chance to go through ‘out loud’ what they want to say and change it up. It also helps them think about all the things they should say, how to speak loudly and clearly, and how to incorporate their calls to action…’be sure to thumbs up my video and subscribe,’ ‘stay tuned for my next video,’ ‘be sure and follow my brother’s channel…’ etc. Practicing is essential, and it’s a fantastic skill to learn young! I’ll be honest, they don’t like to practice most of the time, they want to just jump right in. 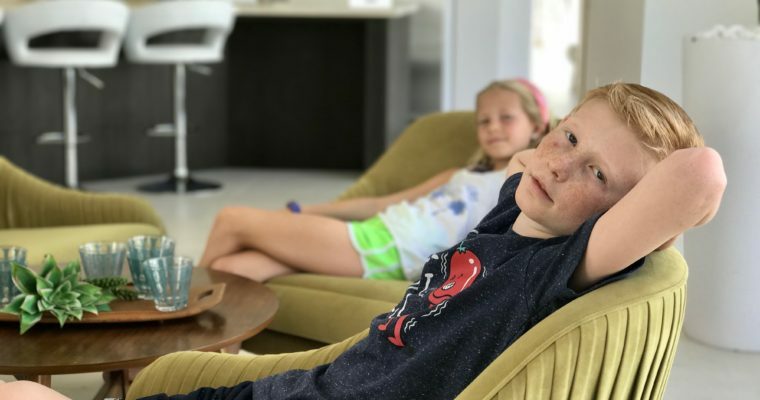 Learning to slow down a little and think things through is something kids are doing less and less of, I want my kids to be thoughtful individuals throughout their lives. Finally, they will perform, in fact, they will have to over-perform in order to gain popularity because that’s just how it is out there on Youtube. If I’m going to help them become Youtube sensations, then performance is EVERYthing! Being yourself on steroids is the key to Youtube success, and this must come through in your performance. I think this skill is the hardest one to learn because even though our kids might be all crazy off camera, once that camera is on they kinda freeze up a little. Performance is also the one that your audience is oh-so-critical about. It amazes me what commentary people feel the need to offer up out there. I troll my kids’ Youtube pages and delete the crap comments because they are just pointless and offer no value to the content or society at large. Parents out there, I say DELETE the crappy comments. I may just be one person out there but YOUR social media page (whether that’s Facebook, Youtube, Instagram or whatever) is YOURS. And the delete button is there for a reason. For myself, I like to put positivity out into the world and I know that’s what comes right back at me. Negativity is useless when it’s just for negativity’s purpose, which is purposeless. Off my podium now, and back to our regular programming. Performance comes from within, and it takes a good bit of confidence to pull off. The more opportunity your kids get to perform on camera, the better they will become. Once the videos have been created is when the real work begins. I, myself, want my kids to learn how to do all of this stuff, so it’s important that they watch and learn OR Youtube and learn. You can literally learn how to do anything on Youtube. My son (age 12) edited my daughter’s last video, he shot it too. All I did was get it uploaded to Youtube, and that’s only because his first 2 attempts failed. He did GREAT, take a look for yourselves. It’s not going to be the greatest video you’ve ever seen, but what a great start and he learned SO much going through the process all on his own. In my opinion, which is just that, our kids need to learn how to do more things themselves. We do far too much for our kids today, myself included, but this type of stuff is literally at their fingertips and it’s a much more useful way to spend time on a mobile device. They will amaze you and I hope that when they do, you’ll happily share it all on your Facebook for them! Gotta start somewhere. I’d love for you to subscribe to my future newsletter. I have big plans for this site, but I won’t be emailing you just yet. If you’re interested in taking the WorkWifeMom journey with me, then I’d highly suggest you look below and input your 411. Thank you!